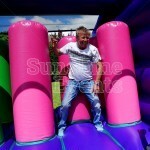 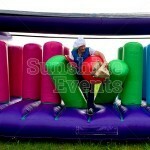 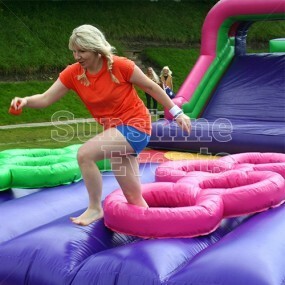 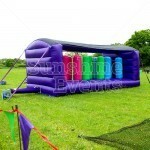 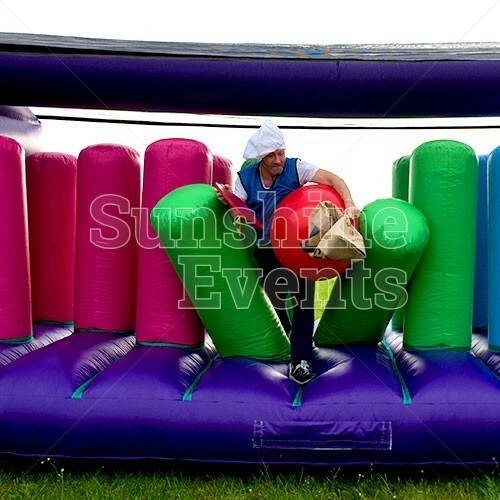 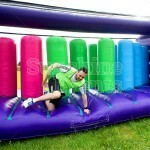 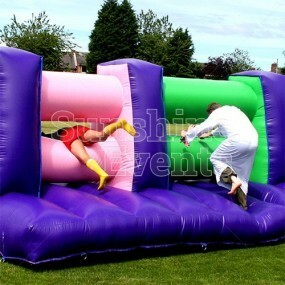 One of the add-on sections to the Assault Course Hire, the Assault Course Bish Bash Hire lets you extend the fun even further with a fantastic obstacle that will have your guests bouncing from side-to-side as they try to make their way through the huge inflatable pillars adorned in bright purple, pink, green and blue. 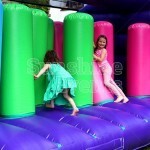 The Assault Course Bish Bash Hire works perfectly when used with the other additional sections, the Assault Course Tunnels Hire, Assault Course Tyres Hire and Assault Course Mangles Hire, but it’s equally as good when used as a standalone item and is brilliant at birthday parties and weddings as a fun inflatable to keep the kids entertained. 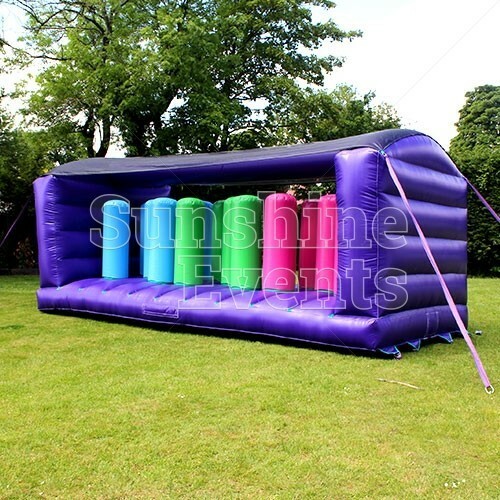 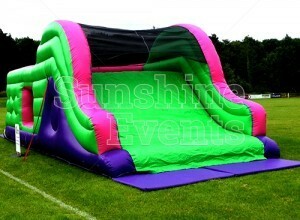 No matter how you have this amazing inflatable set up, you'll be sure to have a fantastic time. 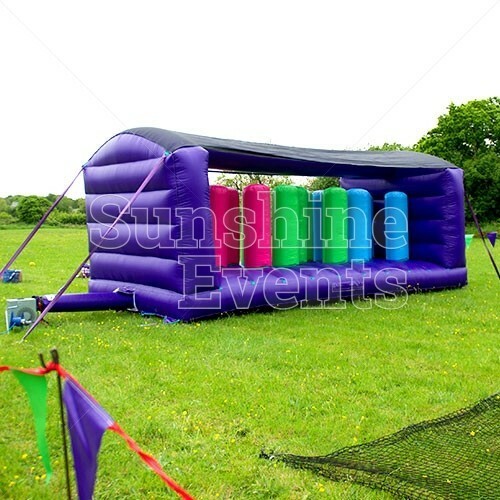 What events are the Assault Course Bish Bash Hire suitable for? 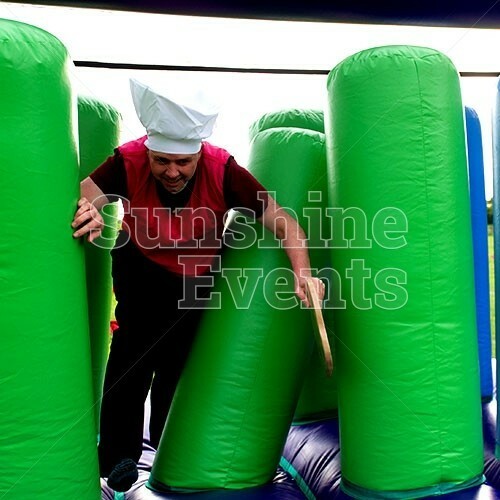 Hire the Assault Course Bish Bash Hire at all kinds of events with an active feel - Team Building Events, Fun Days, Sports Events… the list is endless! So bish-bash your way to success at your event, with our great range of inflatables - just make sure you give yourself a good head-start! 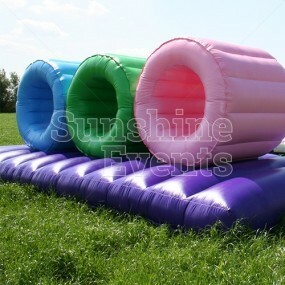 Add On Sections - that's right, you can make the Bish Bash inflatable even bigger and more exciting by adding one of the many add-on sections we have available. 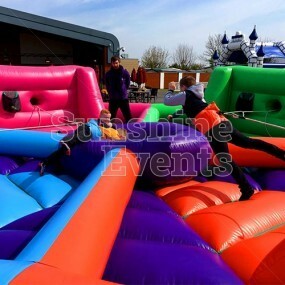 Some of these are detailed in the 'You May Also Like' section such as the Mangles inflatable, full Assault Course inflatable and Scramble Net, but there are more...you could build the Assault Course up to 300ft! 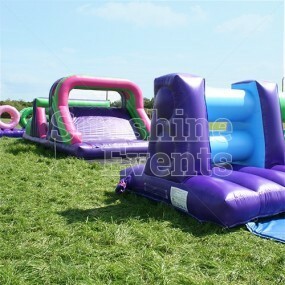 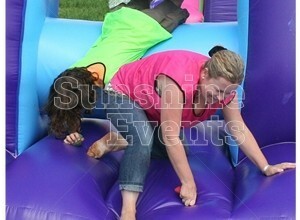 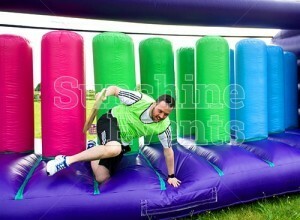 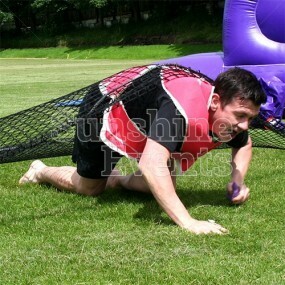 Assault Course Bish Bash Hire has been added to your Event Quote.